The experienced staff and trained professionals at Kucumber Skin Lounge of Seattle, Washington, are committed to treating unsightly skin conditions such as acne, cellulite, large pores, spider veins, and an uneven skin tone in a luxurious spa-like clinic. As a physician with over a decade of experience, Dr. Lori Arviso Alvord oversees all treatments to ensure a flawless procedure with impressive results. 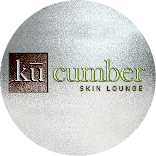 Kucumber Skin Lounge’s advanced technology and a highly attentive staff gives clients the absolute best aesthetic care. Residents of Bellevue, Medina, Mt. Baker, Washington Park, and downtown Seattle have been tremendously pleased with VelaShape, Microdermabrasion, ReFirme Skin Tightening, and various laser skin rejuvenation treatments at Kucumber Skin Lounge. Popular anti-aging treatments that help right wrinkles and sagging skin are Botox, Juvederm, Perlane, Radiesse, and Restylane. For skin that suffers from acne scarring, sun damage, and poor skin laxity the IPL Photofacial and Fractional Laser Resurfacing are proven effective treatments. Whether patients are looking into skin treatments or to remove unwanted hair or veins, Kucumber Skin Lounge does it all. For more information about all of the treatments offered at Kucumber Skin Lounge of Seattle, call one of our representatives; we’ll be happy to set up your free consultation!